Detailed Description: Carlon 1-Gang Outlet box in blue color has PVC construction to offer enhanced durability, greater performance and lower installation cost. It measures 2-3/8 Inch x 3-3/4 Inch x 3-7/8 Inch. Box has 22 cubic inches capacity. It withstands flexing and maintains their shape even in the worst applications. Box is suitable for use with 90 deg C conductors. It has molded clamps to offer convenient cable entry. Box can be nail-on mounting. Box is UL listed. Application 2 All PVC boxes are permissible for use with 90 degree C connectors. 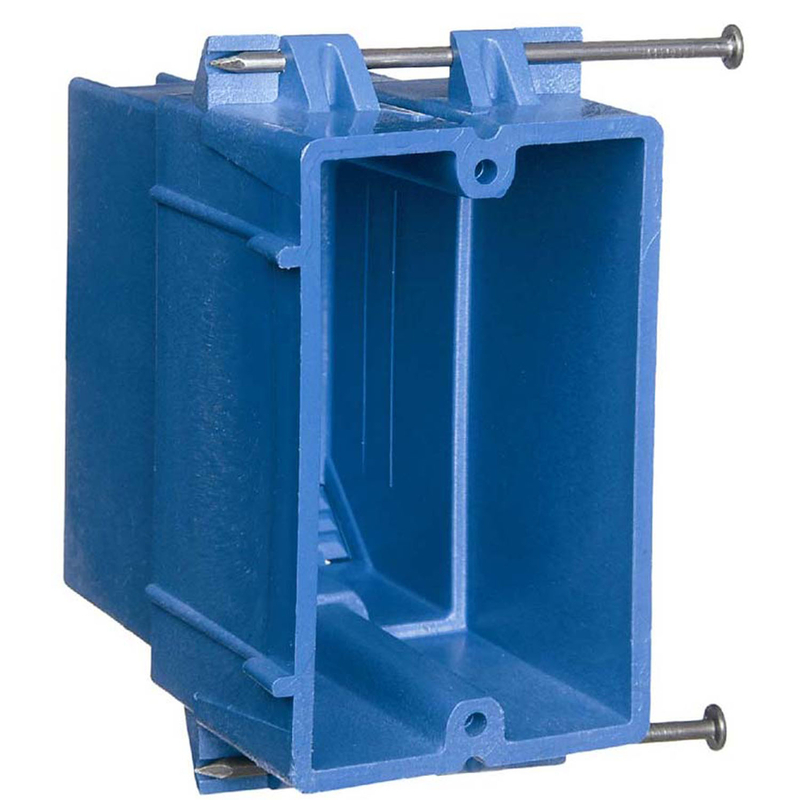 Special Features SuperBlue boxes combine the features of the hard shell thermoset box and the thermoplastic PVC style box to create a new rigid non-metallic wiring box.